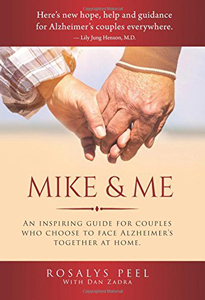 For couples confronting Alzheimers, Rosalys Peel's book Mike & Me: An Inspiring Guide for Couples who Choose to Face Alzheimer's Together at Home (2018) is a must read. The book provides new hope, help, and guidance on how to face the disease. Peel says that "The decision to manage Alzheimer's in your own home can now be a viable consideration for virtually all couples. By managing Alzheimer's at home, Mike and I experienced 10 full years of like, love, and laughter together. This book will show you how." 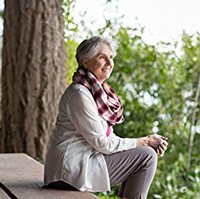 Glen Finney, a behavioral neurologist who cares for many Alzheimer's patients, describes the book as proof that couples who are fighting the ravages of dementia can still have years of quality time together. Peel's approach is a triumph of 'love over fear'.